When I’m in a hotel room I like absolute privacy. After all, calling upon Baphomet and/or playing Firewatch takes absolute concentration and I don’t want humans intruding on my reverie. That’s why the folks at Savioke are building the Relay. 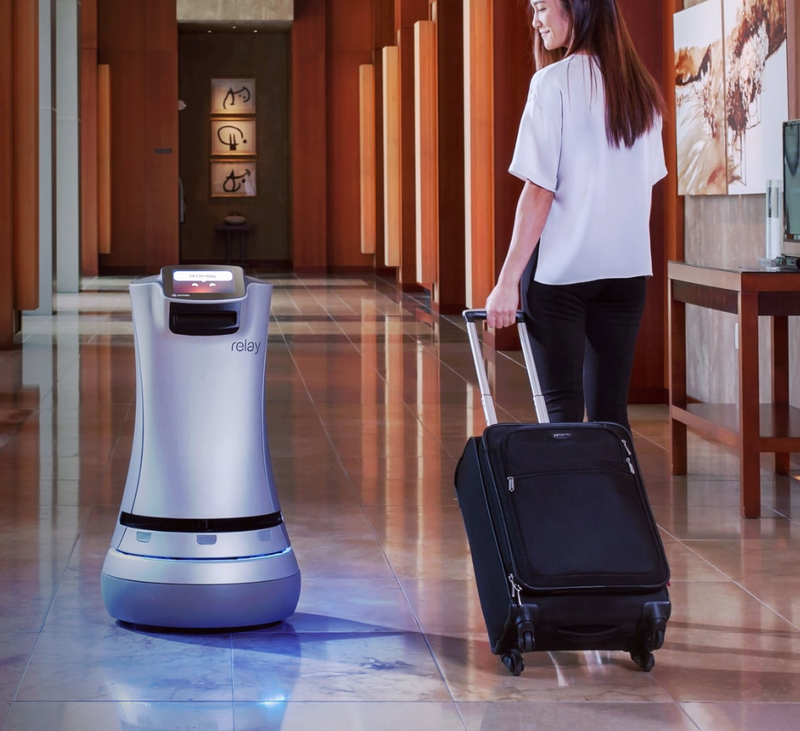 The creators of the Relay all took part in the robotics incubator Willow Garage and their robot – an R2-D2-looking guy with a hole in his head – is now rolling around hotels delivering food and snacks to guests. Think of it as a droid delivery boy who doesn’t want a tip and can’t carry hot food, a limitation the team is quick to point out. The founders of the project, Steve Cousins, Tessa Lau, Adrian Canoso, and Izumi Yaskawa wanted to create a robot that would actually do something useful for normal human beings. “The most common item delivered was toothpaste,” he said. The robots also deliver coffee to guests from the lobby Starbucks at the Marriott Los Angeles LAX. The Relay was born when the team was working at Willow Garage to figure out how robots could help humans. Robots like the Relay work best in “semi-structured” spaces that rarely change. The costs of building a smart robot went down thanks to the open source Robot Operating System and, in short, it got much easier to build a helper bot without breaking the bank. The team is rolling out the robots to various hotels around the world now and they intend to eventually create an army of helper bots that will deliver toothpaste and coffee to sleepy people in millions of hotel rooms. Then, when telepresence robots begin staying in hotels, we can imagine a Relay delivering items to a Relay, thereby creating infinite loop that will destroy the fabric of space, time, and society.